Acupuncture is a medical therapy which involves the insertion of needles to stimulate junctures in the body-often nerves, muscles or connective tissues to reduce the symptoms of acute and/or chronic pain. 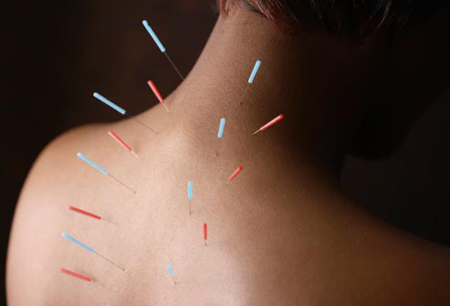 A recent article in the Star Tribune newspaper reported the use of acupuncture at Abbott Northwestern Hospital in Minneapolis. Acupuncture has been found to be an effective method of treatment of the chronic pain that results from traumatic injuries to many parts of the body, including injuries to the neck and back (spine). Acupuncture treatment is covered by Minnesota Medical Assistance, Minnesota Care (Health Insurance), and Minnesota No Fault Insurance (Medical coverage). Acupuncture is covered for the following conditions: Acute pain; Chronic pain; Depression; Anxiety; Post-Traumatic Stress Disorder; Insomnia. The following licensed practitioners may provide acupuncture treatment: Licensed Acupuncturists; Chiropractors who have complied with the Minnesota Board of Chiropractic Examiners acupuncture registration requirements; Osteopaths; Physicians. The Personal Injury and Workers’ Compensation Lawyers at the Schmidt-Salita Law Team have many years of experience in helping achieve justice for the victims of Personal Injury and Workers’ Compensation in accidents.